NOTE: These specifcations apply to the A4000T made by Commodore, and do not necessarily apply to the A4000T made by Amiga Technologies. Floppy Drive: 1 x Internal 1.76MB Floppy Drive. The A4000T from Commodore only saw a limited production of machines (estimated at 100-200) before they went bust in 1994, most machines never made it to the market but ended at third party developers and the local Commodore companies. A recent BBoAH study (2013), indicates that the number machines still existing is VERY low (only a handfull of named owners has been found so far). In an email from 1996 send from Peter Kittel to a german A4000T user, Peter wrote "that only ~35 Machines got deliverd WORKING to customers, ~35 where NOT working. All in all only ~70 machines left Commodore for customers." That would explain why it is so hard to find somebody owning such a machine. For this reason the Commodore Amiga 4000T is considered the rarest commercial available homecomputers ever made. The plastic parts on the tower has mould dates from mid march 1994 - this means that the few existing A4000T was assembled late march 1994 / early april 1994. Commodore International Ltd declared bankrupcy on april 29. 1994 - making the A4000T's the last computers ever made by Commodore. North American units were manufactured in West Chester, Pensylvania whilst European units were assembled in Braunschweig, Germany. The A4000T is arguably the best Amiga model ever made. It is easy to assume that the A4000T is simply the same motherboard as the desktop A4000, but this is not the case. 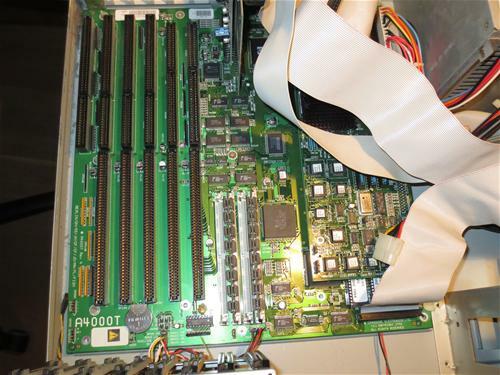 The A4000T uses a totally separate motherboard. 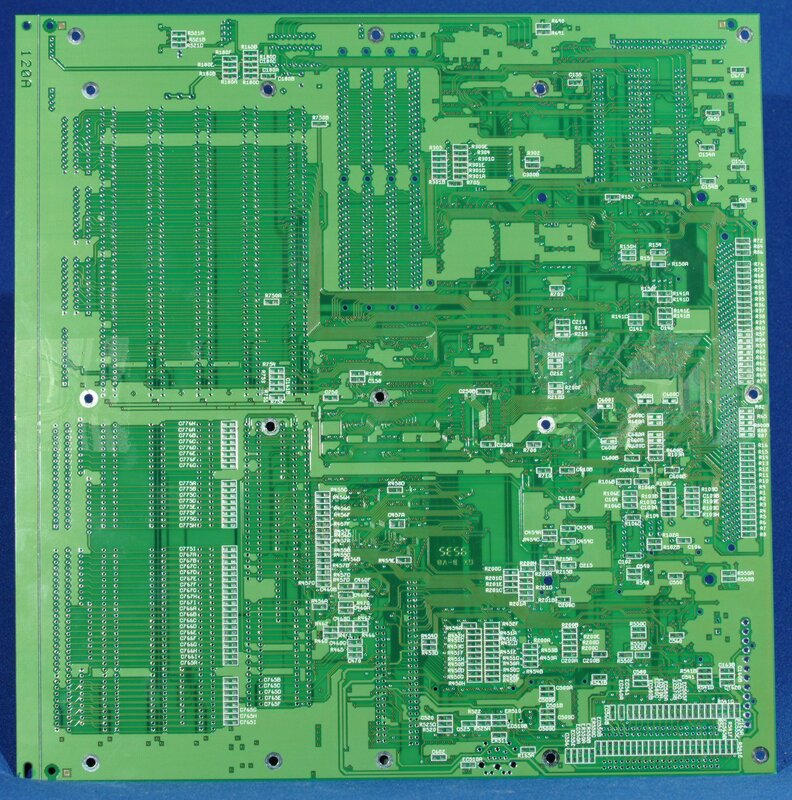 The A4000T is intended to be a large AT form factor motherboard and infact appears to use a standard PC AT power supply. 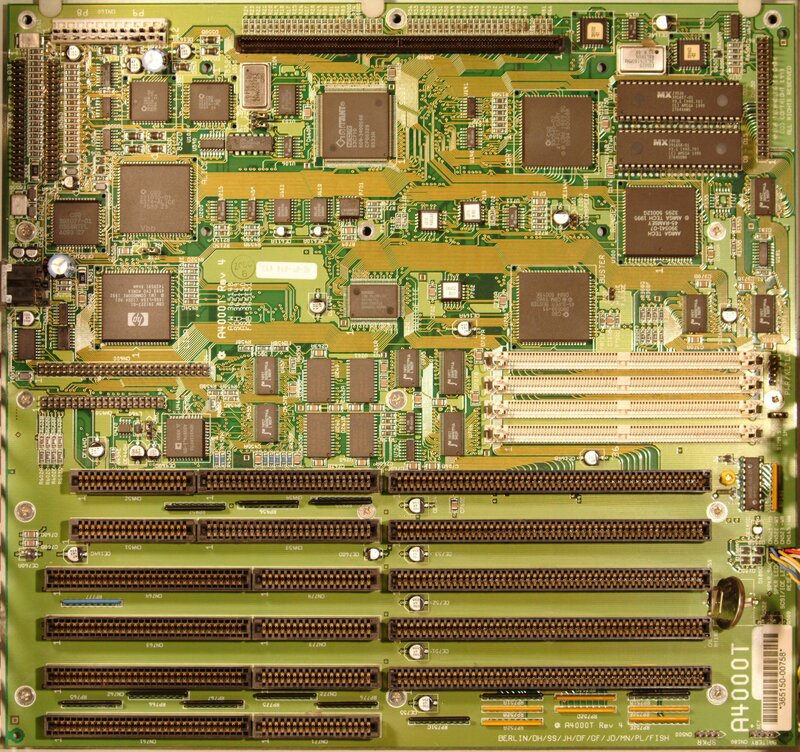 Unlike the desktop version, the A4000T also includes a SCSI-II controller on the motherboard in addition to a 3.5" IDE controller. This is why the A4000T uses a slightly different version of Kickstart 3.1 compared to other Amigas (including the A4000). 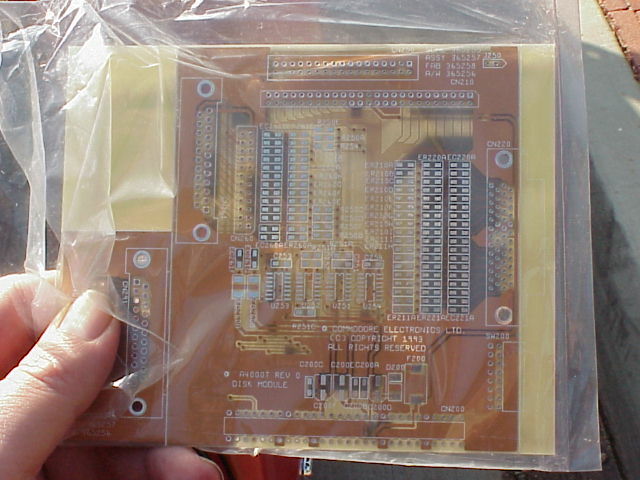 It contains the drivers for the SCSI-II controller in ROM and in order to allow it to fit, workbench.library was moved from ROM, supplied on the Workbench disks and is loaded from LIBS: like any other disk based library. The A4000T also contains an internal speaker for native sound output, however external speakers and headphones can also be used. The speaker can be disabled or enabled by pressing the button labelled "Turbo". The case also contains a reset button as well as a key lock. The A4000T also uses coin shaped lithium batteries unlike most Amiga models which use the barrel shaped batteries. 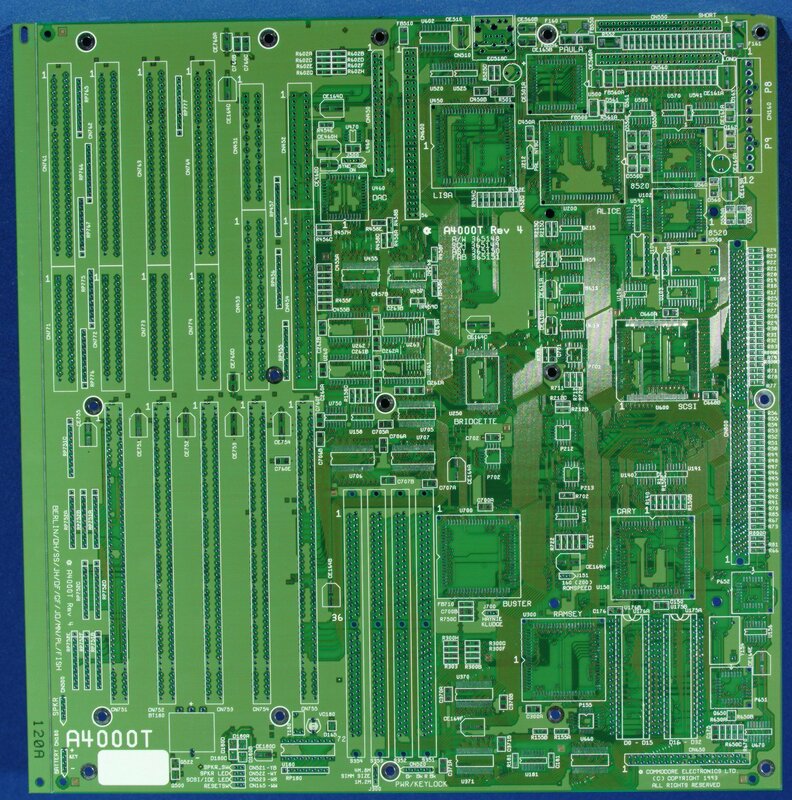 The A4000T contains 4 x 72pin SIMM slots for adding up to 16MB of RAM in addition to the 2MB of Chip RAM surface mounted on the motherboard. SIMM sizes of 1MB, 2MB, 4MB and 8MB can be used. 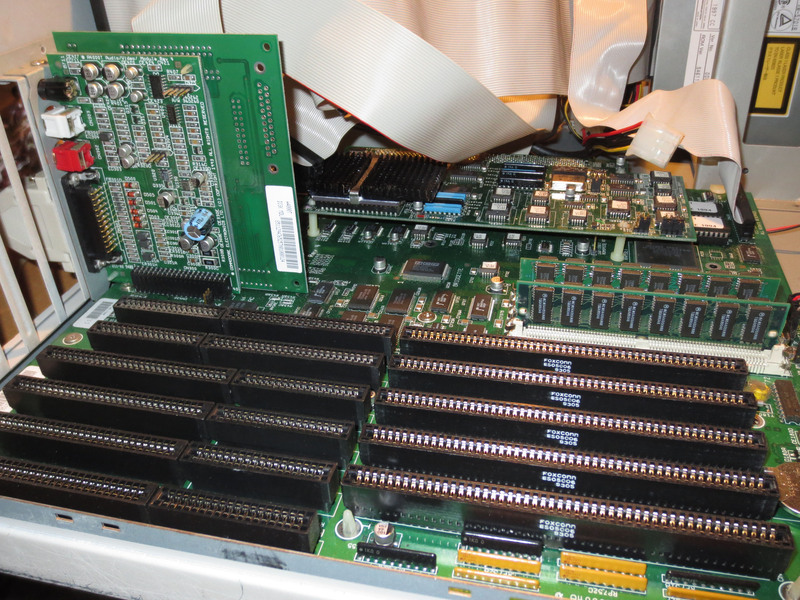 Please note, than even though it is possible to use 8MB SIMMs, you are still limited to 16MB on the motherboard. If 8MB SIMMs are used, only 2 SIMMs can be used and they must be inserted in alternate slots. 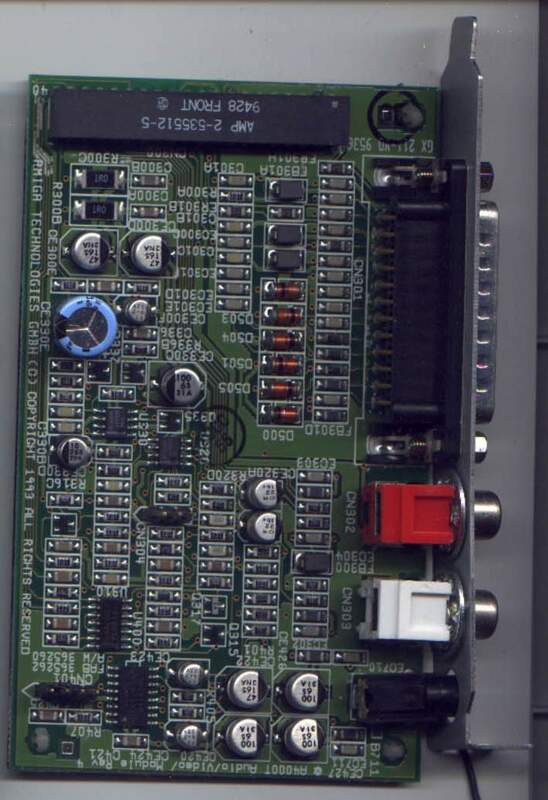 All of the external connectors in the A4000T reside on little cards which in turn connect to the motherboard. 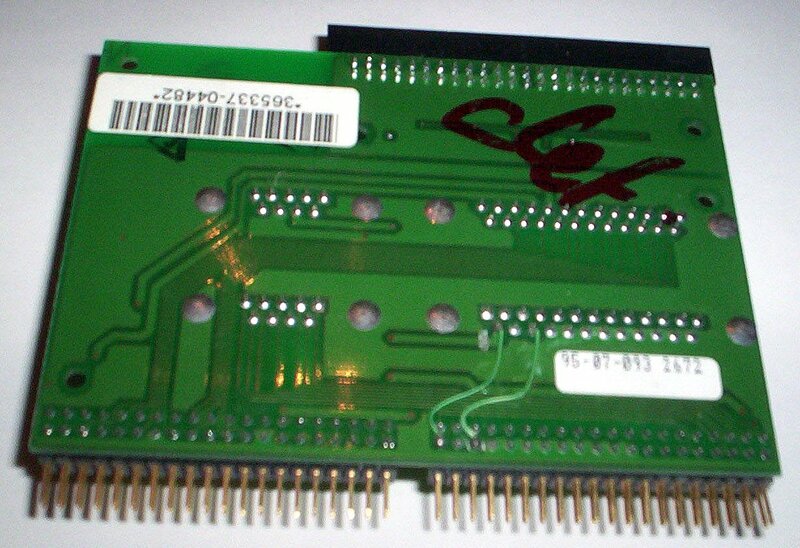 This means they could easily be replaced or upgraded and infact some companies did release alternate cards for the small PCB containing the video related ports. 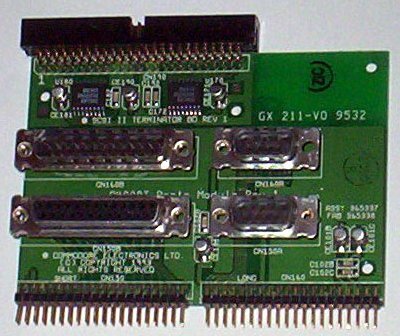 The A4000T uses the 5pin DIN keyboard connector, unlike the PS/2 style connector which the A4000 uses. 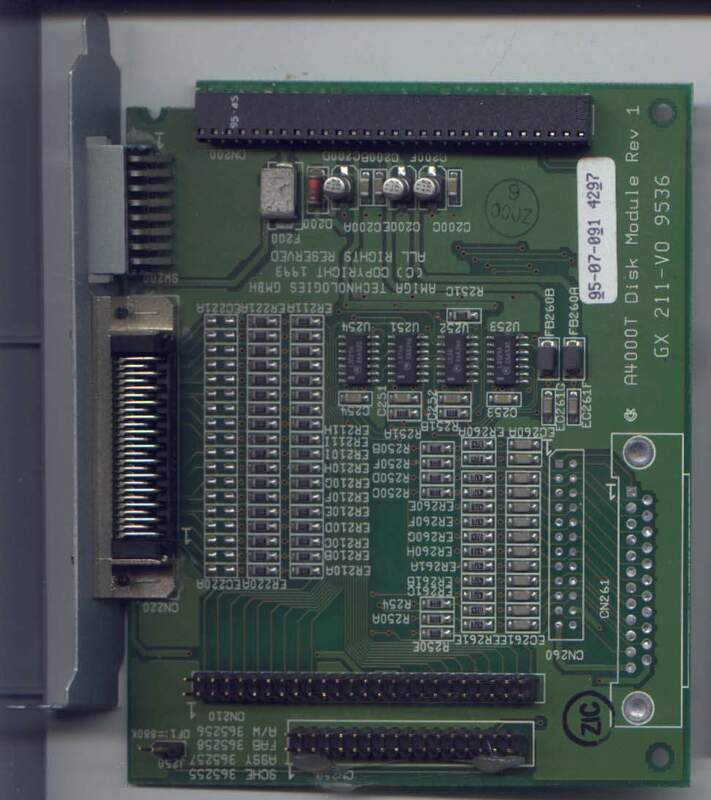 Unusual for Amigas, the A4000T does NOT have an external floppy drive connector, however two internal drives can be used. Parts of this page are (C) Ryan E. A. Czerwinski and are used with permission for inclusion in "The Big Book of Amiga Hardware. Page contributors: Bill Horton, Erol Ismael, Mark Frischknecht, Matthias Münch, Orjan Lindgren, RiWa & Friends, Ryan E A Czerwinski, Siggi, Steen Jessen.